If you’re accepting any type of payment for your blog, you should be prepping your business for tax season. 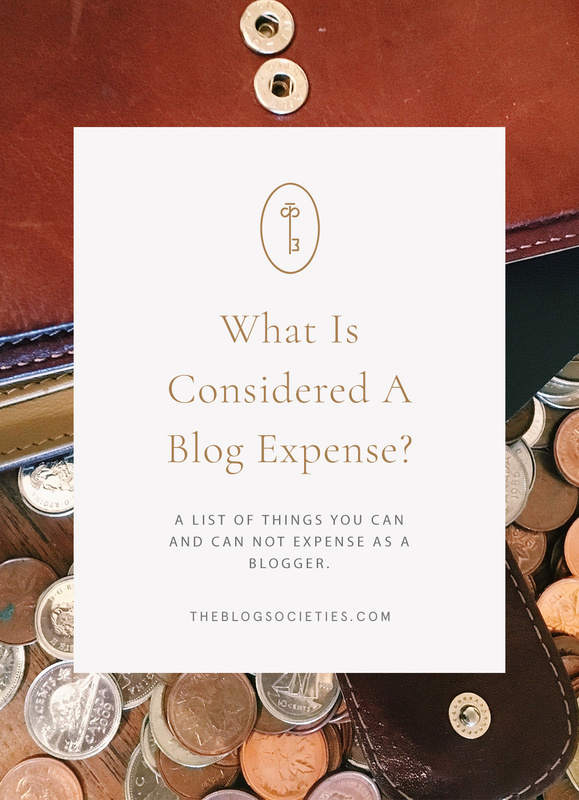 One of the things that’s good to know as a blog business owner is what is considered an expense, and what is not. Here is a short list of some of the things you may pay for during the course of a year with your blog that can be added to your expenses. Why is it important to keep track of these things? Approved expenses will help reduce your adjusted gross income (AGI) which results in a lower tax liability. So keeping track of every receipt and transaction is not only good for knowing your net profit, but even better come tax time and writing that check to the IRS. Here’s a list of common blogging expenses that you may want to make sure you’re recording. Blog Memberships – Your TBS membership qualifies for that! Many people believe that their clothing, accessories and grooming are expenses but they are in fact not. The IRS considers these to be proper grooming expectations that all employees should follow. Unless a brand specifically asks you to purchase something for a project, it is not directly related to your business. For example, if your a hairdresser and your salon requires you to wear all black for your uniform, any clothing you purchase for that job is then considered an expense. Please be sure to consult your tax accountant to confirm your appropriate expenses and how to properly deduct them for your taxes. We highly recommend working with Amy Northard.